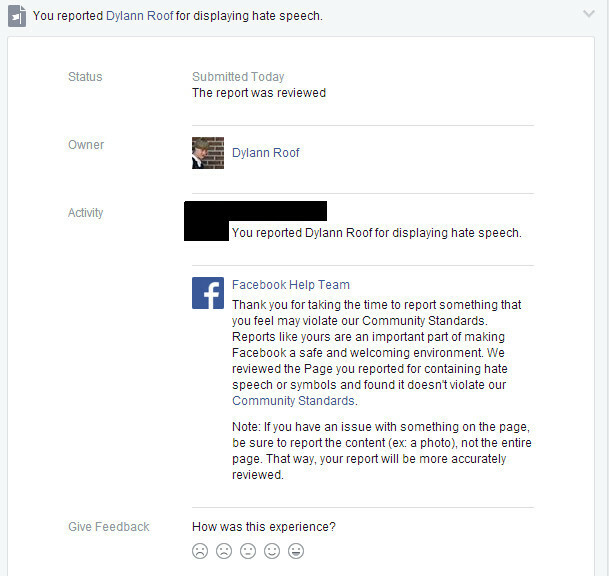 After rejecting initial reports, then reviewing it and rejecting the reports again, a second review has seen Facebook finally take down the Dylann Roof hate page. Thank you to everyone who reported and who shared this briefing, together we made a difference. 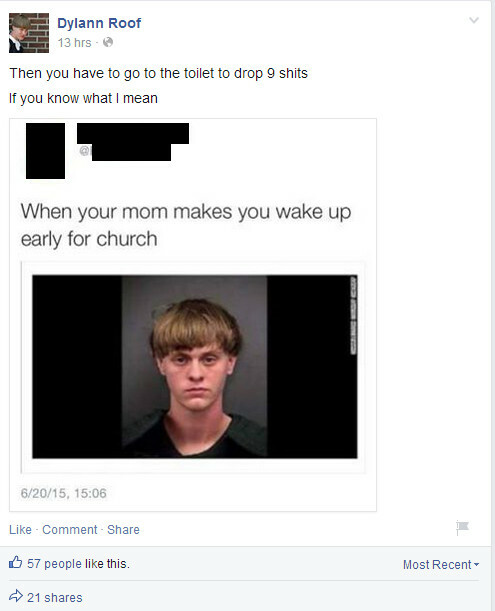 We’re not sure what’s more shocking, the Dylann Roof page on Facebook (pictured above) or the fact that Facebook not only rejected our report about it, but rejected it again on review (the picture below). 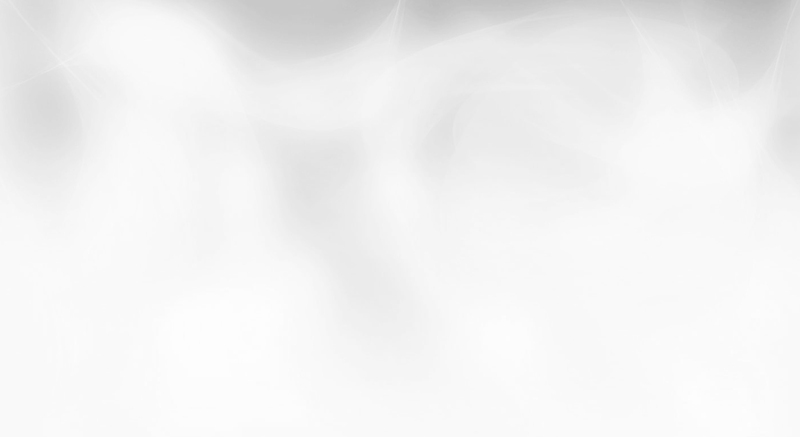 What exactly does it take to have Facebook remove something? For those who are not up to speed, Dylann Roof is the 21 year old American who walked into a church in South Carolina earlier in the week and killed 9 black members of the community. 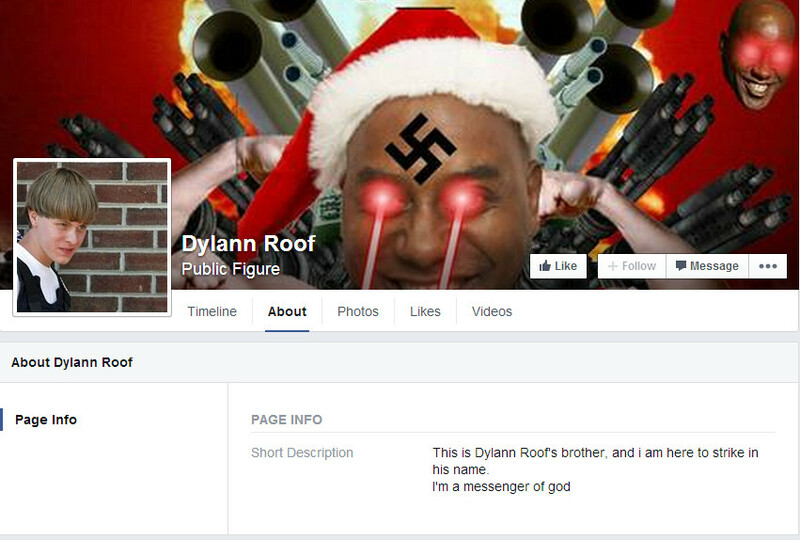 Evidence is emerging that Roof was self radicalized by online material. This is yet another example of the very real harm that can result from online hate speech. 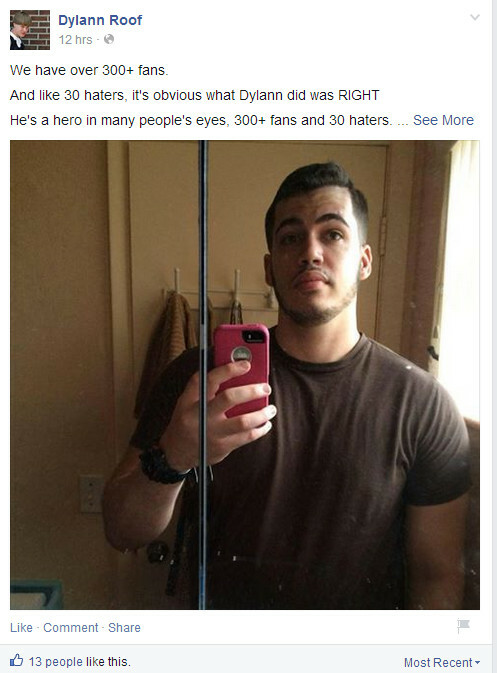 The Facebook page has nothing to do with Dylann Roof. It is an effort by some sick individual to get their thrills by outraging the public. 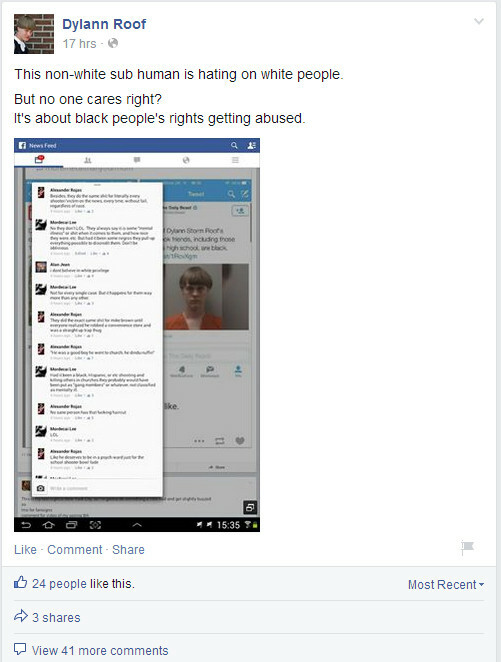 We’re calling on our supporters to keep reporting the page, this content clearly does NOT belong on Facebook. You can also more generally support the work of the Online Hate Prevention Institute, a registered Australian charity, in three ways: By liking our Facebook page, making a donation (donations are tax deductible in Australia) and by joining our mailing list.